Here is a basic workflow about how to use the HSL Shader to give your crowds some Hue variation. 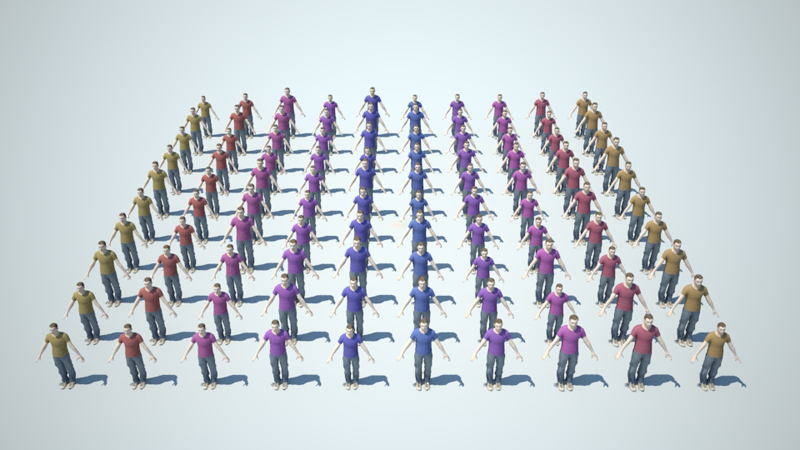 - In the Golaem Character maker Geometry tab select the piece of geometry on which you want to assign the hue variation and select its Shader. 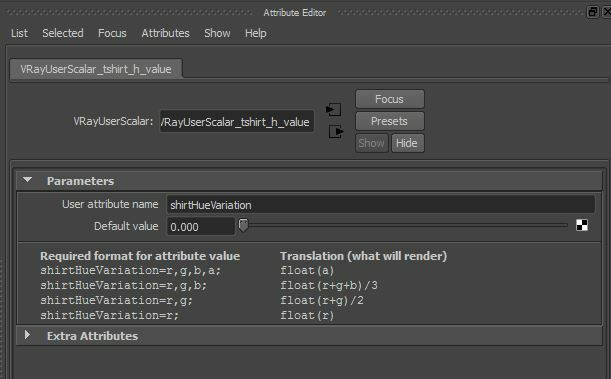 - Drag and drop a Shader Attribute node and link it to the desired shader node, rename it shirtHueVariation and give it a range of values (-1; 1). - Don't forget to save your gcha! 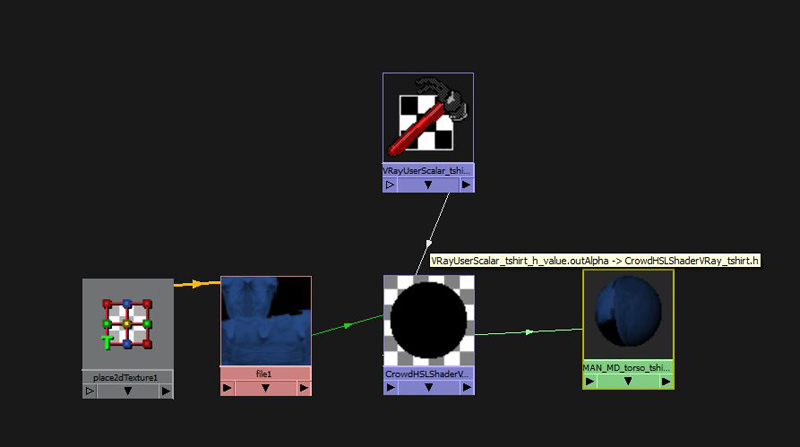 - Go into the Hypershade and link a crowdHSL to your shader Color. - In the feeder node (VRayUserScalar for example), query the value name shirtHueVariation. 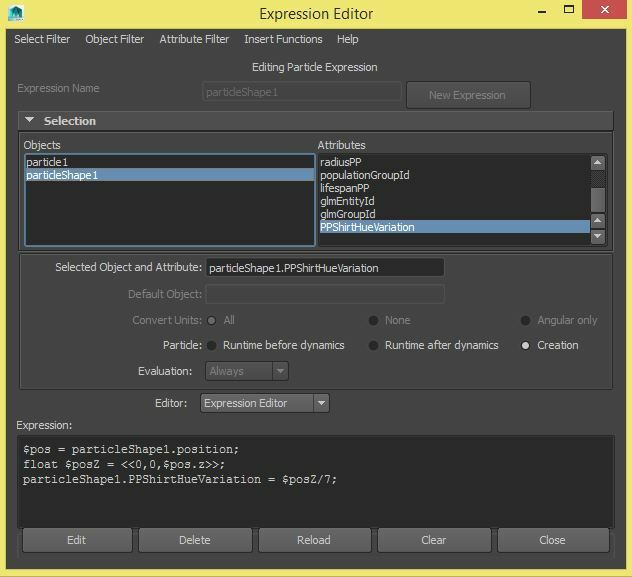 Here is how to have a much better control over the HSL shader by using the PP attributes. - Create a little expression to give a range to your Hue variation. - Check if the PP attribute is working. Go into your entityType Shape and add the PPShirtHueVariation as a displayable attribute. 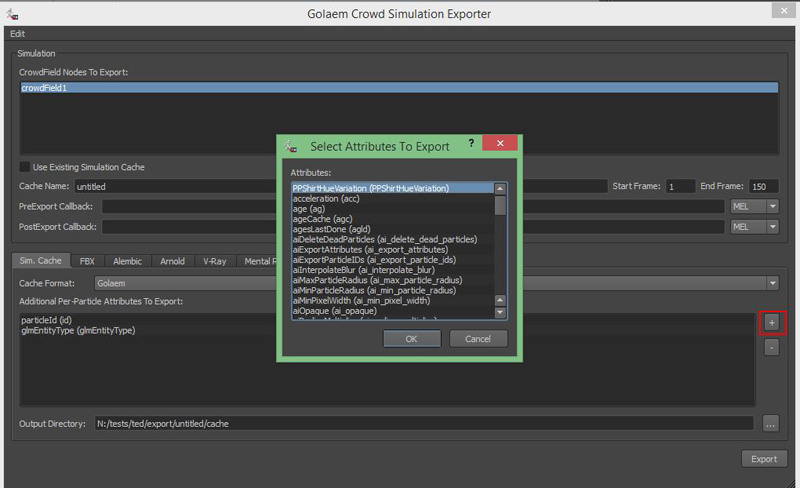 - Go back in the Golaem Character maker Geometry tab and select the previously created Shader Attribute Node. 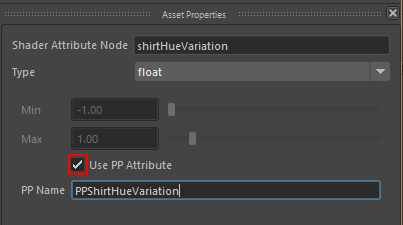 - In the Asset Properties window check the box "Use value from PP attribute" and query the PP attribute: PPShirtHueVariation . 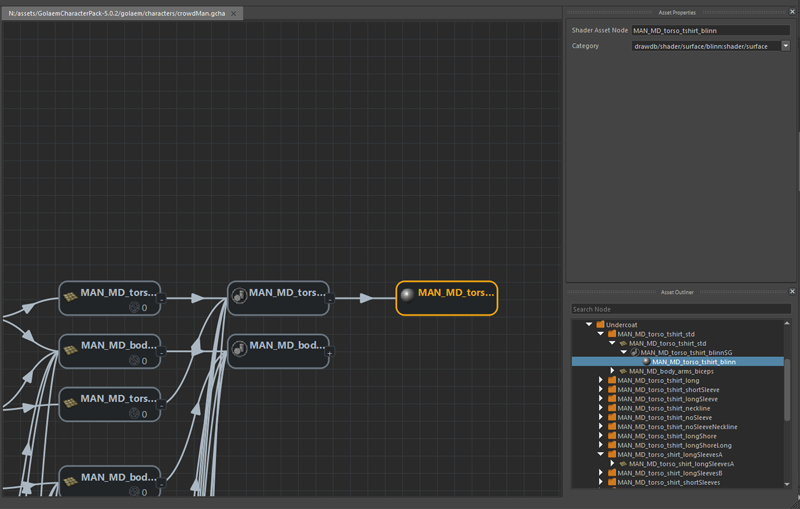 Same process goes to control the Saturation and Lightness of your texture; just plug the feeder node into the corresponding channel (h: hue, s: saturation, or l: lightness) of the HSL shader.